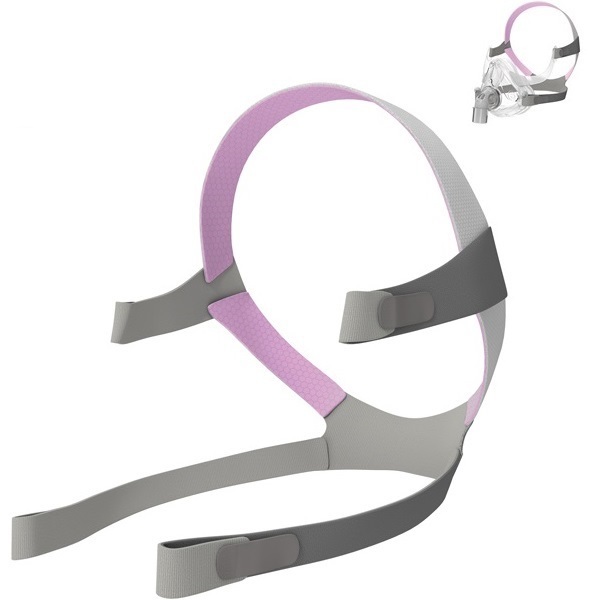 The ResMed AirFit F10 For Her Headgear features slim, dusty pink and grey straps for maximum comfort and fewer facial marks. The unique frame and headgear work together to provide the wearer with superior stability and performance. It is curved to fit the back of the head and effectively support the mask fit and seal. The AirFit F10 For Her Headgear is exclusively designed for AirFit F10 full face masks. Ease Of Use – As part of a mask set with just four parts, the AirFit F10 For Her Headgear is simple to put on, easy to remove and convenient to clean.